In the early days, the few bikers all knew each other and rode together each weekend exploring the Kathmandu Valley and taking occasional longer trips. Now the biking scene has grown such that on any given Saturday you can see people riding everything from a flashy new bike, to an old iron horse – but all with the same goal to enjoy the freedom and the joy of a great ride. 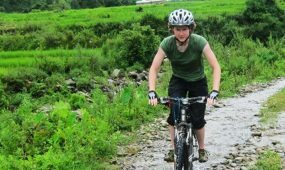 Biking in Nepal may be evolving at lightning speed, but the trails are ancient and there is a mind boggling amount of them! No-one can know how many kilometres of trails are out there waiting to be discovered, as the whole country is criss-crossed with walking trails, beaten smooth by untold generations of feet, walking across the valley or across the country for trade, festivals or family visits. Some of our favourite areas are rugged and truly wild with no easy way ‘out’, while some are close to town and offer almost limitless variations on the ride – from a day to a week or more, in stylish hotels or roughing it in tea houses or camping. This is where it all began. The Kathmandu Valley is suitable for day trips from a comfortable hotel, or longer and more rugged adventures staying in less populated places. 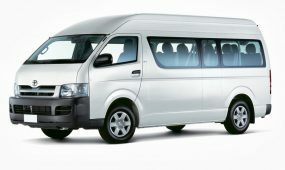 Highlights – diverse cultures, flexible itinerary and riding style, some really brilliant trails no matter what your style is. Another classic, for those who like the touring style of a biking adventure. Never too far from civilization, you don’t need to carry much gear and can stay in simple tea houses or guest houses along the way. Highlights – diverse cultures, point-to-point journey, the amazing mountain scenery of Nepal’s ‘mid-hills’. What happens when the roads come into a trekker’s paradise, bringing the villagers much needed access to markets, health care and education? Travellers can maximize their holiday time by getting farther away from the big centers in shorter times – ie, get to the fun faster! You once needed 21 days to experience this stunning area, but now you can jeep and mountain bike in about 11 days (or take more time if you can, it’s worth it). Highlights – mind-blowing scenery, diverse cultures, some incredible trails (some hike a bike or porterage required), point-to-point journey. Brought to the world stage by the Anthill Films crew in Strength In Numbers and again by Red Bull in Where The Trail Ends, this area is a biker’s mecca. 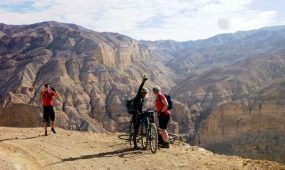 Lower Mustang is accessible and there are so many great trails that you can custom make every trip – from about 5 days up to 10 days – and still be having fun. Upper Mustang is very remote and is also a restricted area (making it expensive as you need a permit), but the extra cost is well worth it as you can visit the ancient fortress city of Lo Manthang and ride the dirt that the Red Bull crew searched all over the world for. Highlights – the scenery is truly spectacular, the culture is astounding and the trails are unforgettable.